We all know that cats are good for you – that’s simply a no-brainer! The writer Mark Twain once said: “the outside of a horse is good for the inside of a man,” meaning that in his eyes, horses were beautiful. For cat lovers, exactly the same is true for our little furballs. Just looking at my cat makes me go all warm and fuzzy inside and makes me want to grab him and hug him and croon: “I love you, I love you, I love you” till he gets bored with all that yukkiness and runs away. But that’s not the only thing that’s good about cats. Read on and be enlightened! Oh no! I hear you cry. Not the dreaded “s” word! Relax and be not afraid, for there is a remedy! Get a cat! (And when I say this – I can’t say it enough – get a SHELTER cat, then you get less stress and he gets a home!) Cats are relatively cheap to run, don’t need a lot of attention in the toilet department and don’t need trips to the grooming parlor (unless you want to.) Pet them and love them and you’ll get it back tenfold, I promise. Owning a cat means you produce OODLES more of that lovely feel-good hormone Oxytocin. This is the “love” hormone, and the one which binds mothers of most mammal species to their offspring. If you get a mommy cat when she’s full of the stuff she will adopt anything – even a rat! That is how beneficial it is. So if you’re going through a hard time and it’s not helpful talking to a blundering, tactless human being, talk to your cat. They don’t talk back, they don’t judge, but they purr a lot and listen. Cats give your immune system a tune up. The presence of little bits of fur, feline dandruff, and a certain type of protein found in cat saliva are allergens to ten percent of the population. If you’re one of the lucky ninety percent, however, these can give the rest of us a chance to build up resistance against them. This decreases our chances of getting things like asthma and hay fever, so strengthening our immune defenses. 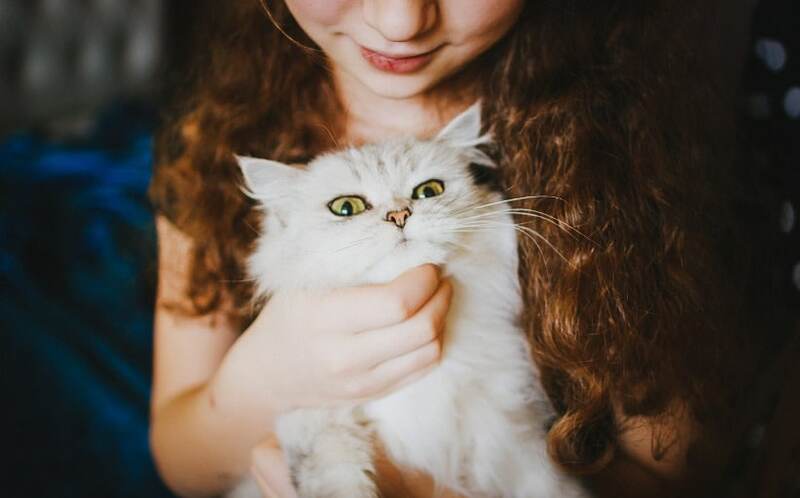 For those who’d love a cat there are treatments available from your doctor, you can install air filters in your home, or you could get a so-called “hypoallergenic” breed like the Devon Rex, Cornish Rex, or Burmese, to name but a few. (But check out the shelter cats too!) There are no truly hypoallergenic cats, but these seem to be better than most. One of the worst offenders is the Norwegian Forest Cat, which is a pity, because they’re gorgeous! A cat a day keeps a stroke away. I have to tell you that I’ve been a cat owner for almost two years now and my blood pressure is on the low side of normal. High blood pressure, or hypertension, is often called “the silent killer” because it may show no symptoms at all before it delivers its fatal stroke or heart attack. It can also do its dirty work by giving you kidney disease, blindness or the loss of a limb. The good news for cat owners is that you’re over a third less likely than non cat owners to suffer one! Another benefit of cat cuddling is that you can shed lots of those bad things with big names, like triglycerides and that old nasty, cholesterol. My cholesterol, courtesy of the Furry One, is so low it’s almost invisible. So, thank you, Ruffles, Muffles and Rascal! It’s truly a miracle! This has to be the most beautiful noise on Planet Earth. If your little furball jumps on your lap after a day from hell and starts purring, you immediately feel happier (probably that Oxytocin stuff) but there is more to a cat’s purr than meets the ear. 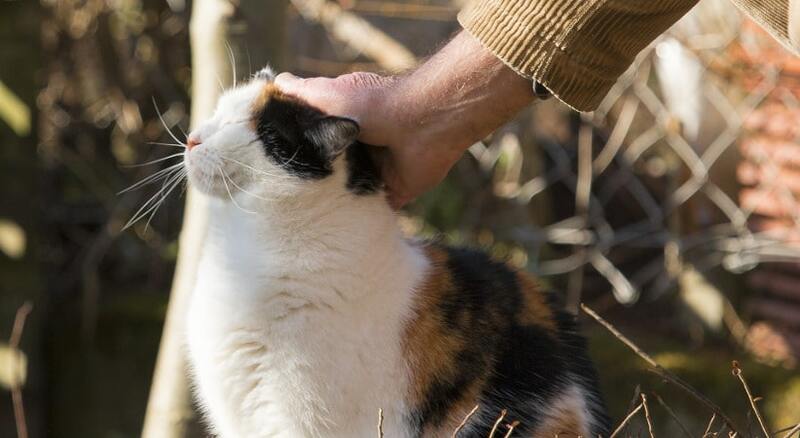 Cats use purring as a self-healing mechanism, but he doesn’t mind healing you at the same time. Cats purr at between 25 – 50 hertz, just the right frequency to aid in healing broken bones and soothing aches and pains. I heard a story last week from a friend of mine about her next door neighbor who didn’t like cats. Or thought she didn’t. One day she caught very bad ‘flu and was in bed for a week, during which time my friend’s cat lay on her bed until she was better, just as if she was a nurse. Cats can even tell when a woman is pregnant! I can tell you that when you weigh ten metric tonnes that’s a great benefit – somebody still thinks you’re beautiful! There are scientific studies that prove that cats pick up on our moods, but you only need to be a cat lover to know. If you’re crying he’ll try to lick your tears, sit beside you and purr, give you lots of head butts, slow blinks and all those other “I love yous.” So even if the world is bad to you, your cat never will be. Before I had a cat I really didn’t think much about them at all. Yes, they do add to the quality of your life and help you to stay healthy. But the biggest health benefit of all is that they make you happy, and all they ask for in return is love! Oh – and food!